I received the Flyability certificate from last week’s confined space training seminar at MFE Rentals near Chicago. I truly thought that owning my own drones for years would prepare for what I would encounter, I was wrong. The maneuvers and obstacle course for this program will literally have you so frustrated in the start but feeling complete elation at the end. It was a monster emotional rollercoaster and I learned so much! SPECIALIZED TRAINING COURSES ARE OPEN TO ALL PILOTS WILLING TO IMPROVE THEIR PILOTING SKILLS AND TO LEARN INDUSTRY OR USE-CASE SPECIFIC BEST PRACTICES WITH REGARDS TO USING ELIOS. 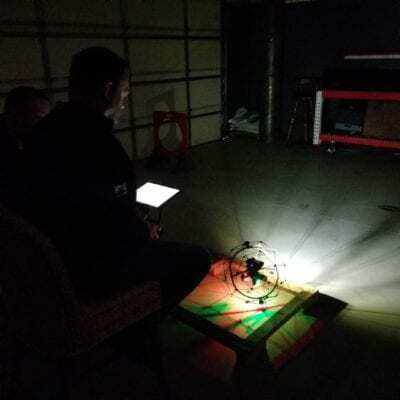 Drone-based indoor and confined space inspection can be a real challenge. Even the most experienced outdoor drone pilots need to adapt their reflexes, habits, and techniques when it comes to flying indoors. When piloting indoor and beyond the line of sight you need to consider dust, smoke, protruding objects, falling objects, hanging objects or chains, loss of communication, and of course the risk of not finding your way back. 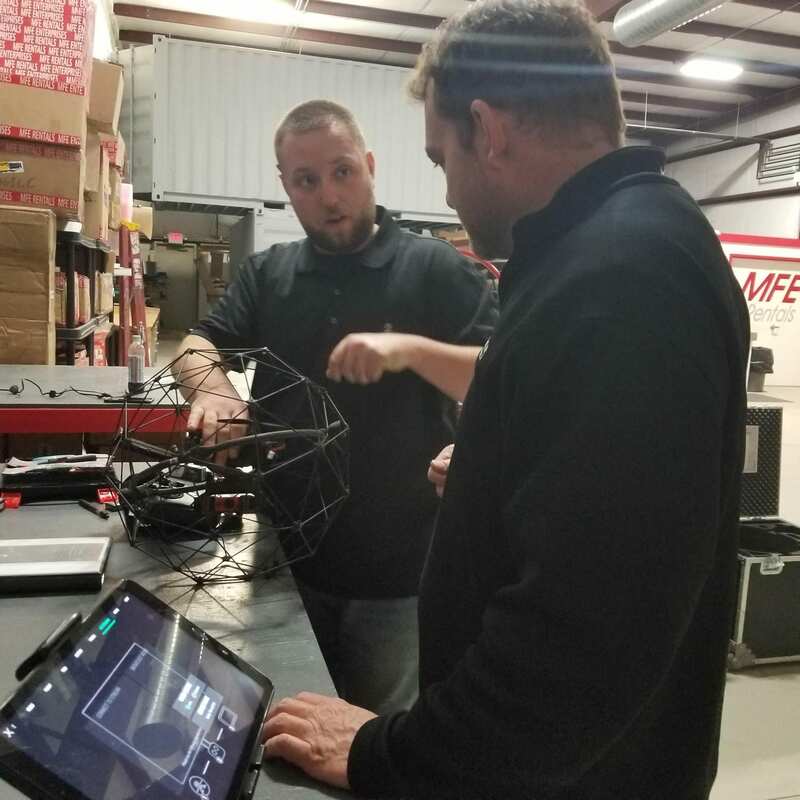 At MFE Rentals, we offer introductory and specialized training for maneuvering the ELIOS in confined spaces on our drone obstacle course built on-site. Our ELIOS training program is a mix of theory and practice, and drone pilots will go through the entire process of a mission, from preparation to realization and data post-processing. Explanation of the objective with documented pictures. Primary risk assessment using the Mission Difficulty Assessment Card, and a portfolio of photos of the asset. Risk assessment review (compared to the evaluation of our expert). Flight plan (the more we progress in the program, the more we will emphases the flight plan). Perform the exercise (assessment of pilot performances). Additionally, if you plan to perform a mission that requires advanced or expert piloting skills according to our Mission Difficulty Assessment Card and you are not certified accordingly, following a specialized training course is probably the best way to conduct a safe and competent flight.